Prohibited Noxious weeds are plant species that are designated as "prohibited noxious" in the Alberta weed regulation. Prohibited noxious weeds must be destroyed, meaning all growing parts need to be killed or the plant's reproductive mechanisms need to be rendered non-viable. Purple loosestrife is native to Europe and Asia. It first arrived in North America in the 1800s and was most likely introduced through several different means, including ballast water of ships, imported sheep's wool, and the horticultural trade. 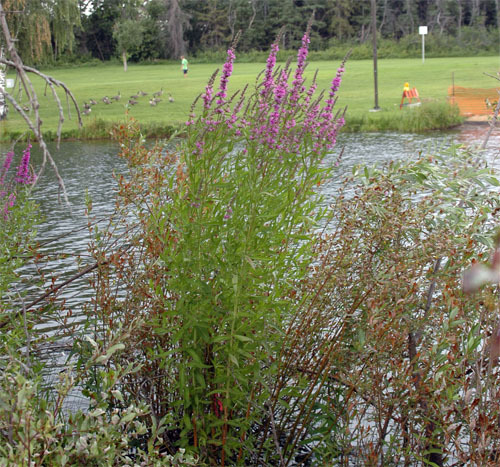 Purple loosestrife can quickly takeover the shores of wetlands, out-compete native plant species and change shoreline ecology. Infestations can disrupt water flow and clog up drainage systems. 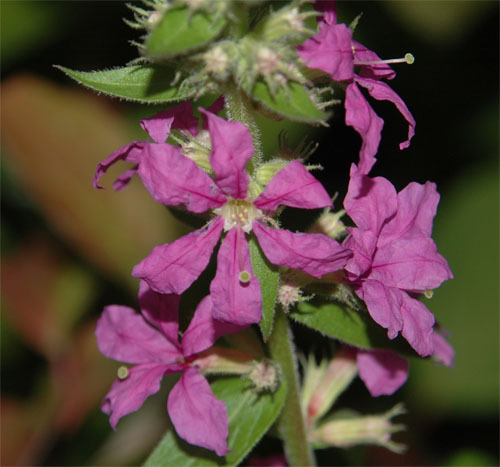 The pink to purple flowers are up to 25 mm wide and are clustered on a distinctive long spike. The lance-shaped leaves are oppositely arranged along the stem or grow in whorls of three. 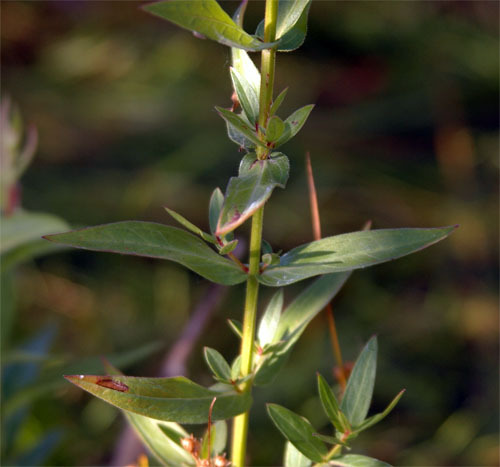 Stems have four to six ridges and grow 100-300 cm high.